An iOS and Android app for an IoT connected “smart” nock and location marker, allowing hunters to find their arrows and gear. Losing arrows and other hunting equipment can not only be costly, but searching for them out in the woods also wastes time and the rustling around can scare away potential game. 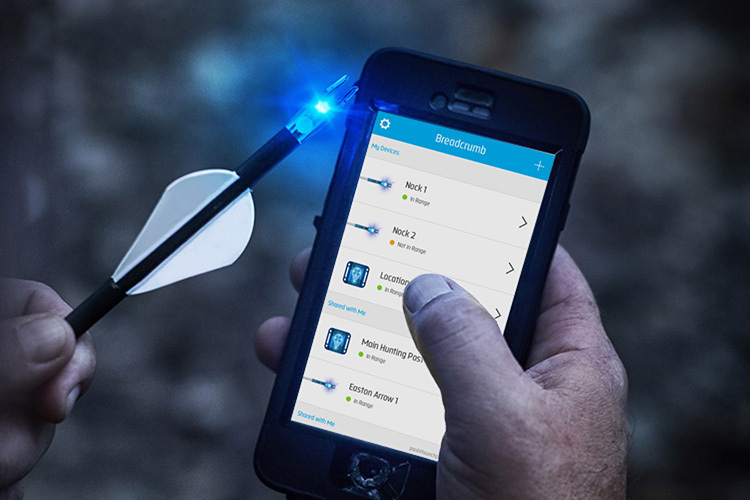 So what if there was a way to track your arrow or equipment from your phone? Getting in the shoes of a hunter was the first step. Founder and avid hunter, Bryan Emrich, walked us through the process that bow hunters like himself go through. From trying to re-navigate to a less familiar hunting spot, to spending more time looking for arrows than hunting, the pain in Bryan’s voice was clear. 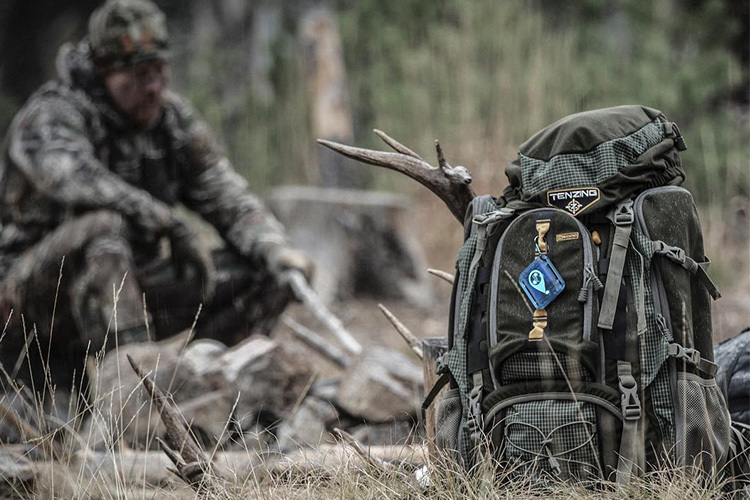 This is why he wanted to launch with two core products: the nock and the location marker. Attached on the rear of an arrow, the accelerometer uses a motion sensor to enable the tracking. Used to keep track of things like tree stands, blind, trailcams, and other hunting equipment. We mapped out the complete user experience from account creation to pairing, finding, and sharing a nock or location marker. After much discussion on how hunters were going to find their device, we designed both a meter to indicate proximity as well as a view map that pinpoints the area their device was last seen. We also designed an interactive walkthrough to pair a device and educate hunters on how to trigger light and sound from the app. Visually we aimed to create a look that balanced a modern, tech, and outdoorsy feel through our color palette, typography, imagery choices. Breadcrumb’s mobile app was built using the Ionic development framework. Ionic allowed us to develop for iOS and Android with a single codebase. We worked with the hardware team to get the device to connect to our app and built the essential features. 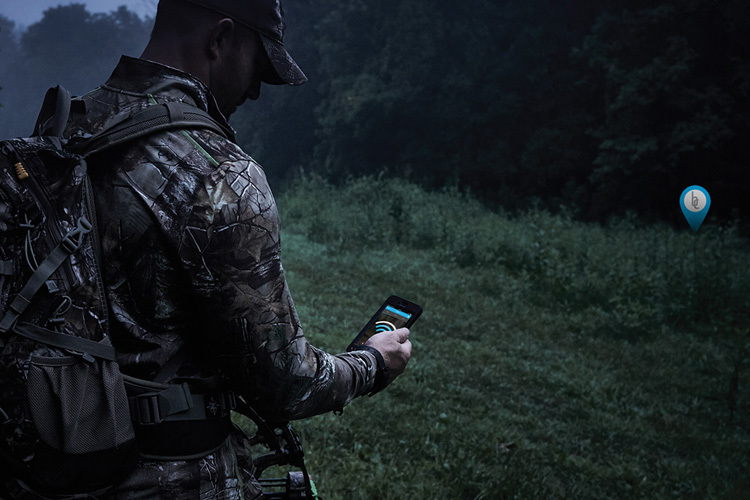 Know when the bluetooth signal is getting stronger, thus getting closer to your nock or location marker. Locating an arrow under the brush can be challenging. Trigger light or sound from the app to help find a device. See all your devices listed on one screen and see their proximity status. Your “smart” nock and location marker can be shared so others can help you find your arrows and gear. By understanding how the user interacts with the app, Breadcrumb can use that data for re-marketing purposes. Using the Phone’s GPS coordinates, and others can update. In just 5 days, Breadcrumb received 10+ million views and 200K shares on a Facebook video debuting the nocks and location markers to the world. All the social media buzz brought in some exciting initial pre-orders. Hunters are ready to spend more time hunting, and less time searching for their nocks!